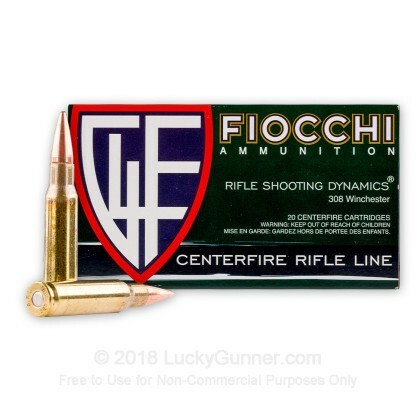 Fiocchi's 308 Win ammo loaded with a 150 grain full metal jacket boat tail projectile is ideally suited for range training and long range target practice. This ammo is manufactured to exacting tolerances to yield precision and consistency. 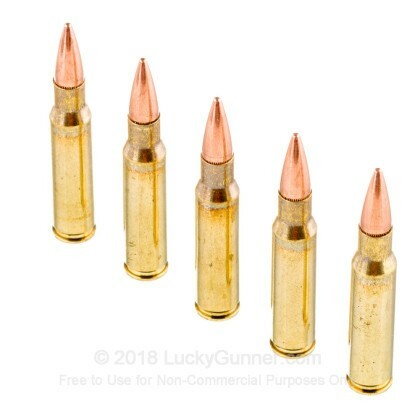 This ammo is brass-cased, boxer-primed, non-corrosive, and reloadable. 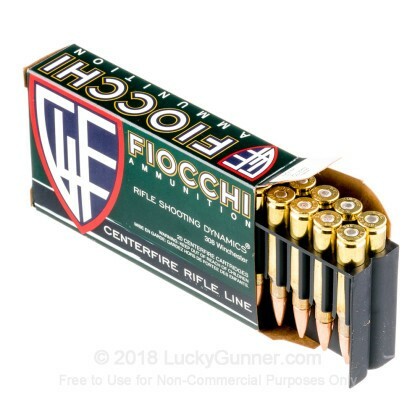 Fiocchi .308 150grain fmj-bt - perhaps I received a bad lot of rounds. I am an experienced shooter - sub 1MOA @ 100Y, even with Tula. 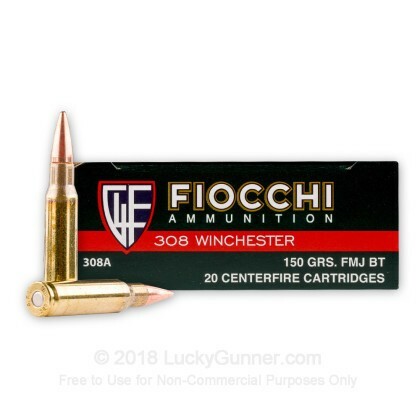 Recently purchased some match grade rounds and 200rounds of 150grain Fiocchi .308 for plinking. The match grade rounds are awesome! However, the Fiocchi 150grain fmj-bt rounds were all over the place! Weird, perhaps I received a bad batch. Really like this ammo for target shooting especially for the cost/round. 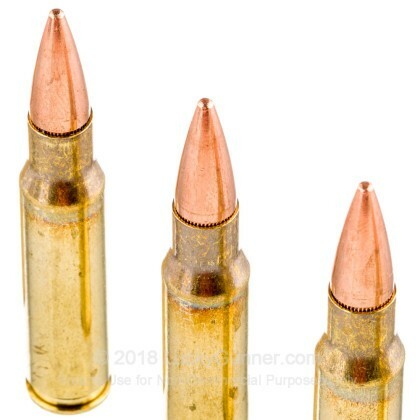 The 168gr match rounds might shoot a little better but at a much higher cost. 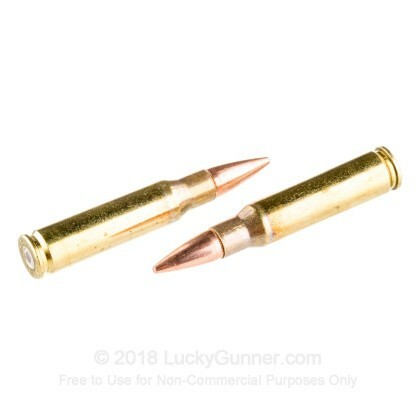 This ammo is low cost, great for sighting in. I prefer a 168gr, but I will never pass this up. Lucky Gunner is my go to source. I place my order and it comes in quickly. Keep up the Great work! A: Hello Bryon, The Fiocchi .308 ammunition is a standard copper coated, lead core bullet. It does not contain any steel and will not attract any type of magnet. We also have this 308 - 150 Grain FMJ-BT - Fiocchi - 20 Rounds ammo in stock in a smaller quantity.